If you so desire to sue someone or some company for bad actions, then hire a lawyer and give the information for us to write up a complaint. The defending side will obtain a summons, ordering them into court at a certain date. They'll give their pleadings, and the trial date will be set. Both sides will begin working on the preponderance of evidence, obtaining as much legal weaponry as possible to argue at trial. A pretrial conference may be set up, in order to clarify any confusion over the motives. Most cases are arbitrated before the trial, both sides settling on a mediation discussed and agreed to by both. However, if the case is not settled by trial day, then it comes down to the evidence collected. Things become a lot more dangerous when a case goes to trial. Out there, it's our side versus theirs. Plaintiff versus defendant. Only one side prevails. 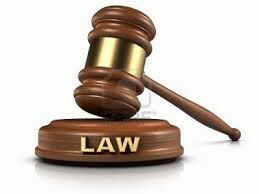 For a jury of 6-12 or a judge alone, we present our evidence, then the defendants present their evidence. Both sides summarize, then a verdict will be formed as to whether the case goes to us, or the defendant. However, if the case is lost, and you're sure that they should've lost, you have the right to appeal to a higher court.